This month’s winner was Jenny Pauley’s photograph of a Corybas incurvus (syn Corysanthes incurva). 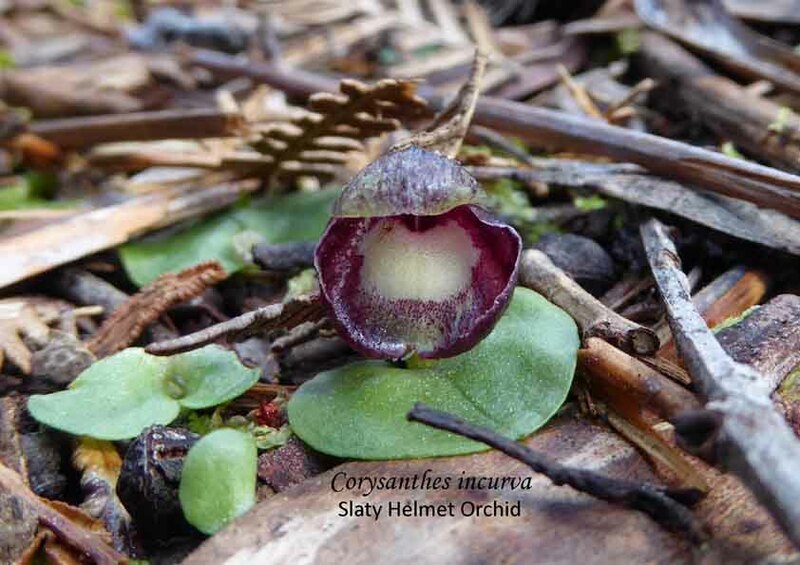 Before looking specifically at the species, it might well be worthwhile looking at the features that distinguish the Corysanthes (Toothed Helmet Orchid) group from Corybas (Spurred Helmet Orchid). The major difference appears to be in the flowers. The Corybas flower is dominated by the dorsal sepal which hides the labellum whereas with the Corysanthes the dorsal sepal and labellum are equally prominent although sometimes the dorsal sepal may be the less dominant. A less obvious difference occurs in the leaves. Corysanthes leaves have a fine point but this is absent in Corybas. 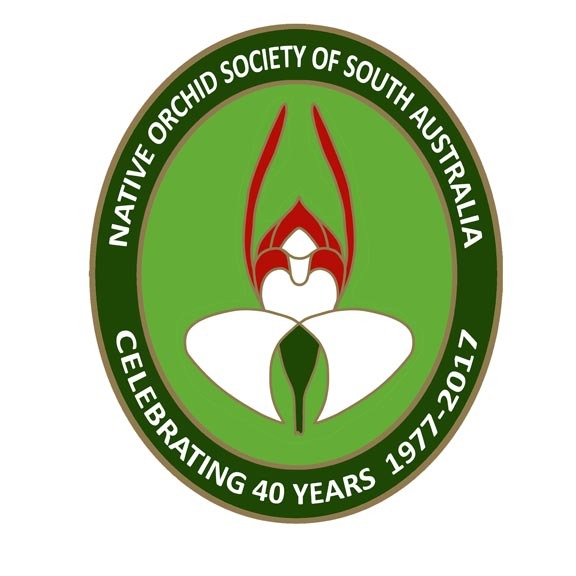 Based on this only Corysanthes (Toothed Helmet Orchid) occurs in South Australia. C. incurva, as part of the Corysanthes group, is interesting because the flower does not appear flared or toothed. But though the labellum curves in, it does initially start to flare, and it does have fine short teeth. In fact, in the early stages of the flower opening it can be possible to confuse it with the opening bud of C. diemenica. One of the differences between these two species is that the flower of C. incurva sits on the leaf with no clearly visible stem whilst C. diemenica is raised above the leaf with a visible stem. 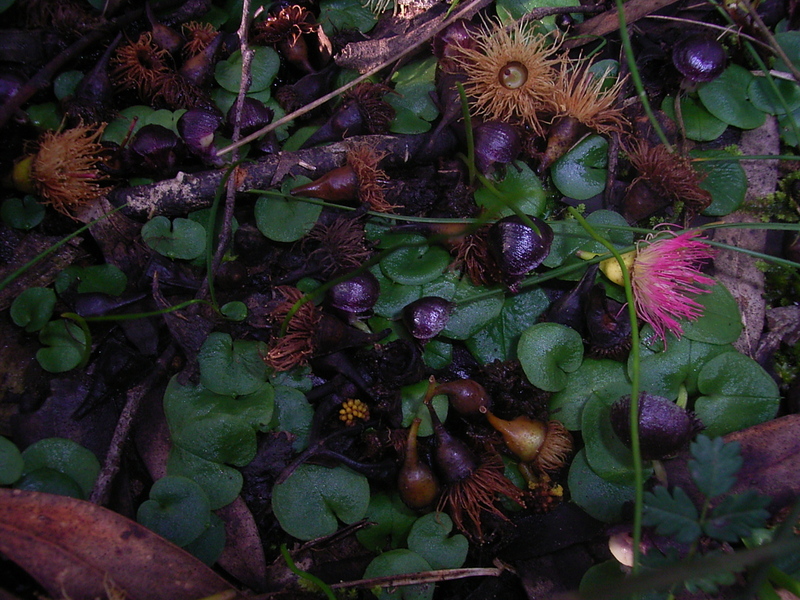 This image of a typical Corybas from Colin Rowan, retiredaussie.com , helps to see the difference between Corysanthes and Corybas. This image of C. diemenica (syn Corybas diemenicus) is a good comparison. Note the difference between the stems. If you want to see the Helmet Orchids, now it the time of year to find them. My understanding is that the time from leaf mergence to capsule is about six weeks. In the past week I’ve seen Corysanthes diemenica (Veined Helmet Orchid) both in the north and the south of the Adelaide Hills. Corysanthes incurva ( Slaty Helmet Orchid) appears slightly later, end July early August, and will now be in bud. Look for them amongst the leaf litter.